Two-hundred and ninety-two students from 21 countries were awarded degrees and diplomas on the successful completion of their academic programs. The latest batch of graduates included students from Asia, Africa, Europe, Oceania, and North America. 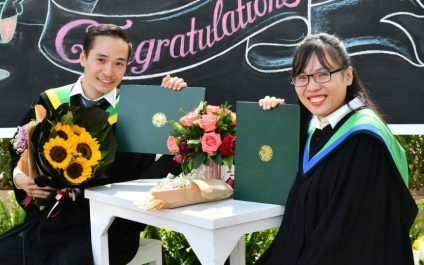 Congratulating the successful students, AIT President Dr. Eden Y. Woon reminisced about his own student days, stating that his graduation days were some of the happiest moments of his life. Welcoming participants on behalf of AIT, Dr. Jonathan Shaw, Executive Director, AIT Extension, stated that while the problem is systemic, AIT must play a role in leading behavioural change. 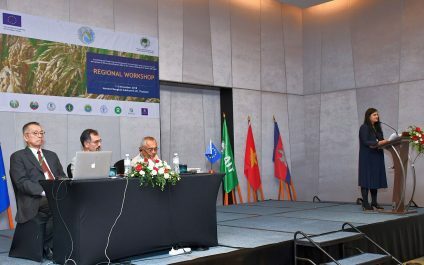 In comparison with pre-project baseline performance, SRI practices helped improve livelihoods across the Lower Mekong River Basin (LMB) by increasing average rice yields by 52%, farmers’ net economic return per hectare by 70%, labour use efficiency by 64%, and water productivity by 59%. Total energy inputs required for farming operations decreased by 34%, along with significant net reductions in greenhouse gas emissions. 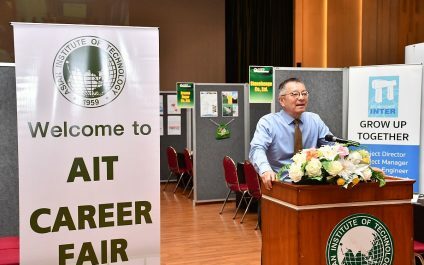 Twenty-four companies participated in the biannual Career Fair and Research Exhibition organized by the Asian Institute of Technology (AIT) on 31 October 2018. 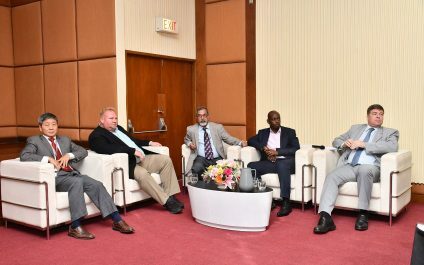 Welcoming the participants AIT President Dr. Eden Y Woon stated that AIT is focussing on strengthening its relationship with enterprises, industry and the business sector. A new web-based GIS platform of the Earthquake and Tsunami in Indonesia has been created by AIT’s GeoInformatics Center (GIC). 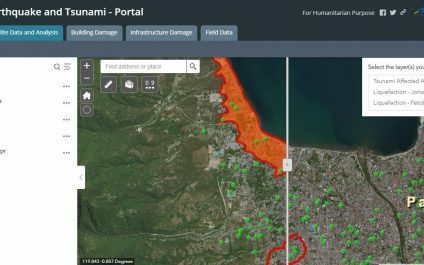 The portal ( http://arcg.is/15uObi) provides satellite data and analytics, an assessment of damages to buildings and infrastructure, along with field data. 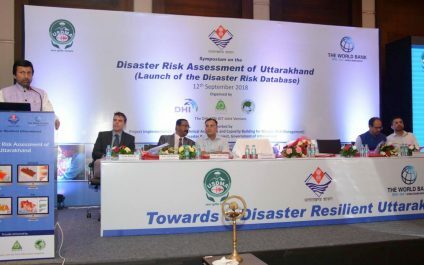 A disaster risk database jointly created by the Asian Institute of Technology (AIT) along with other international partners was unveiled by the Finance Minister of the Indian province of Uttarakhand Mr. Prakash Pant at an event organized in city of Dehradun on 12 September 2018. AIT worked with two international firms, DHI (Singapore) and ERN (Mexico) International to created an integrated disaster risk database that covers earthquakes, landslides, floods, and industrial hazards. Korea House — the focal point of co-curricular activities and campus life at the Asian Institute of Technology (AIT) has a new look. 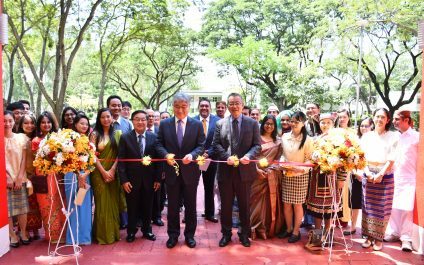 The renovated Korea House was jointly inaugurated by the Ambassador of Korea to Thailand, H.E. 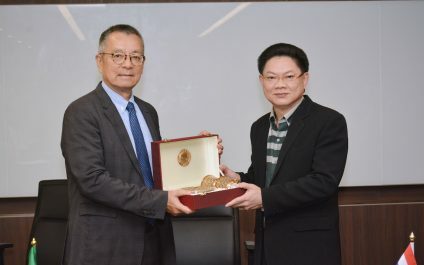 Mr. Noh Kwang-il and AIT President Dr. Eden Y Woon on 28 September 2018. The landmark building was initially opened to the public in 1982, courtesy of a donation by the Korean Traders Scholarship Foundation. 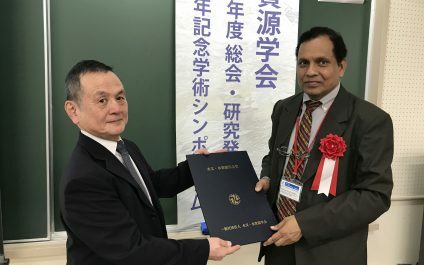 Professor Mukand Singh Babel of Water Engineering and Management has been honored with the Japan Society of Hydrology and Water Resources (JSHWR) International Award. He was bestowed this honor by Professor Tsugihiro Watanabe, President of JSHWR at the general assembly meeting of the Society held on 13 September 2018 at Mie University, Tsu City, Mie, Japan. Asian Institute of Technology (AIT) has signed a multi-party agreement with five municipalities, and the College of Local Administration of Khon Kaen University for furthering the smart city initiative of Khon Kaen city. 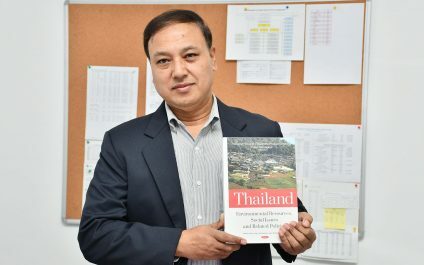 The multi-stakeholder agreement includes the municipalities of Khon Kaen and Sila Town; and sub-district municipalities of Muang Kao, Samran, and Tha Phra.